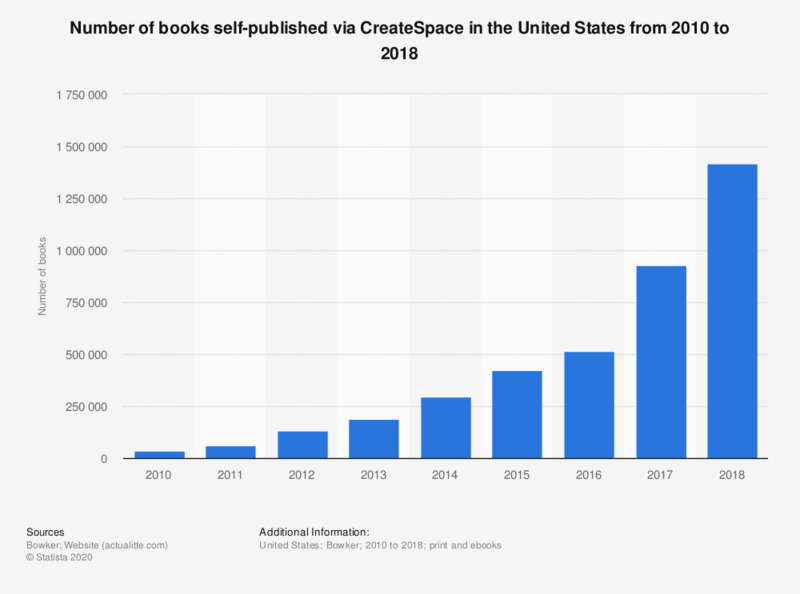 The statistic provides information on the number of books self-published by Amazon's CreateSpace in the United States from 2010 to 2017. CreateSpace published a total of almost 752 thousand books in 2017, up from just over 501 thousand in 2016. Data from 2012 comes from an earlier edition of the report.